They're a pretty magical time of year, right? The stunning sunsets, hanging out on patios and drinking a cold one with your buds, basically spending most if not all your time outdoors. Of course, there are those days when it's too damn hot outside, but we can all pretty much agree that we prefer summer nights over any other time of the year. But when it comes to dinner, if we're not having a cookout or going out to dinner, the last thing most of us wants to do is turn on that oven or cook something on the stovetop. Whether we're just too busy or we don't have it in us to heat up the kitchen, some days, we just want a delicious no-cook summer dinner to keep us cool. 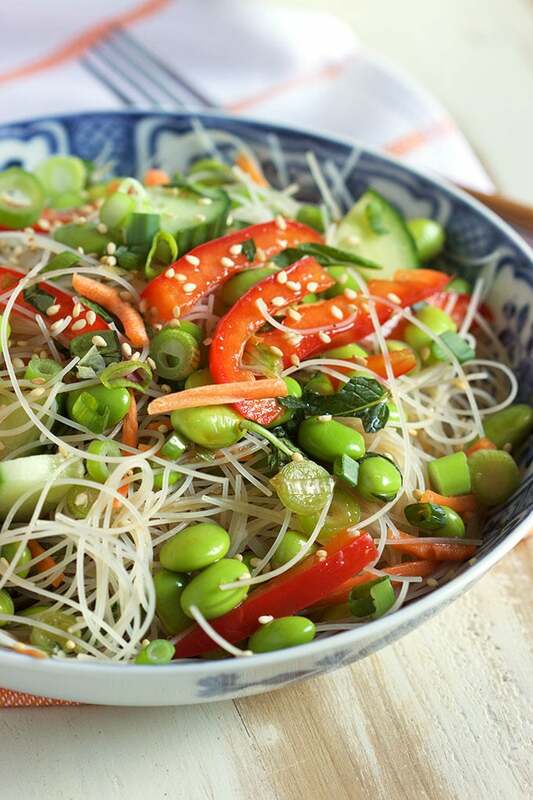 From a salad you can throw together in mere minutes on a busy weeknight to chilled soups for particularly warm days and a green detox salad to munch on after an indulgent vacation, here are 15 delish no-cook dinners perfect for your upcoming summer nights. A version of this article was originally published in June 2017. 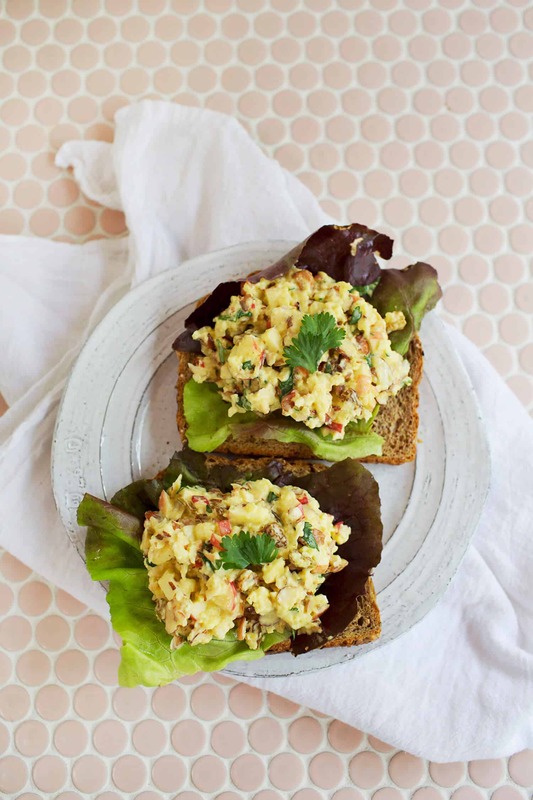 If you want something really light, go for this curried apple and almond salad sandwich. It's particularly convenient for those busy summer nights when you need something quick. What’s more portable than dinner on a stick? 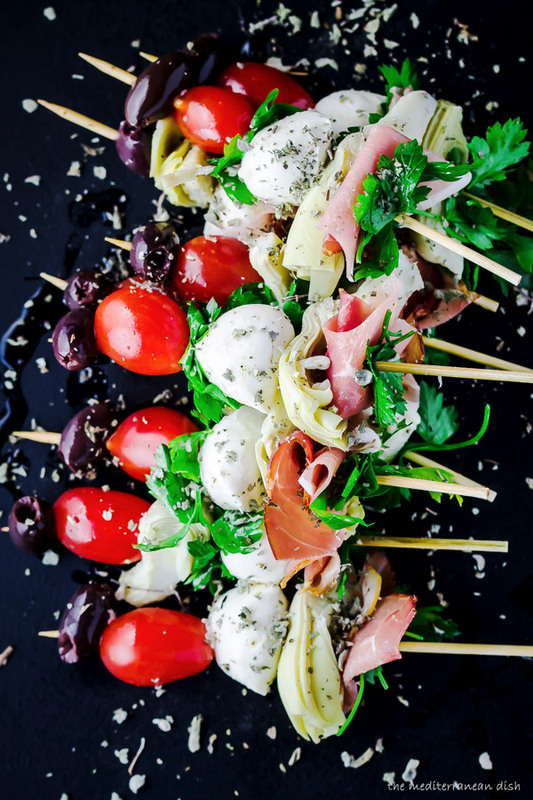 Choose your favorite marinated vegetable, cheese, melon, olives and cured meats, and start skewering! It's the perfect dinner to take to the park or beach. 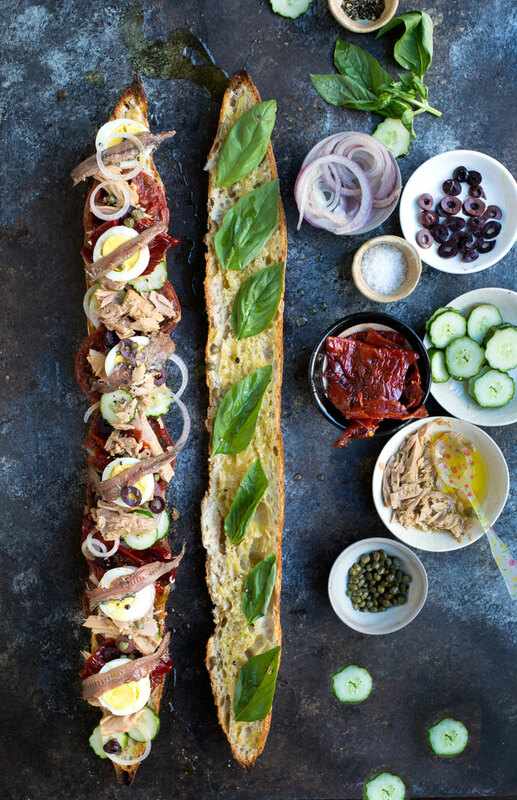 The beauty of this French picnic sandwich is that it can be made ahead of time — it actually improves with age as the flavors meld together. Invest in a high-quality jar of tuna packed in olive oil for maximum flavor. It pairs well with French wine. Rice noodles are soaked in hot water instead of boiled, making this salad a cinch to throw together on a busy weeknight. Throw in your favorite crunchy veggies, and you've got dinner in a flash. 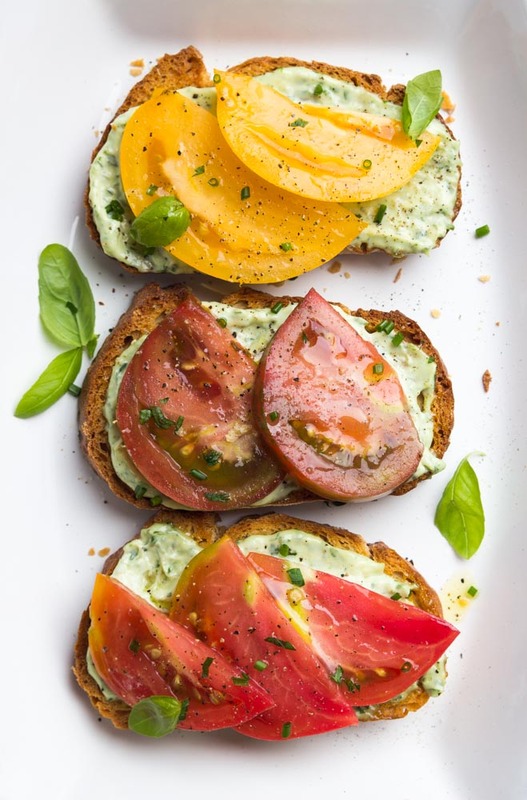 Let summer's star — the tomato — shine brightly in this easy and delicious open-faced sandwich. Colorful heirloom tomatoes pair perfectly with a garlic-herb aioli loaded with chives, basil and parsley. 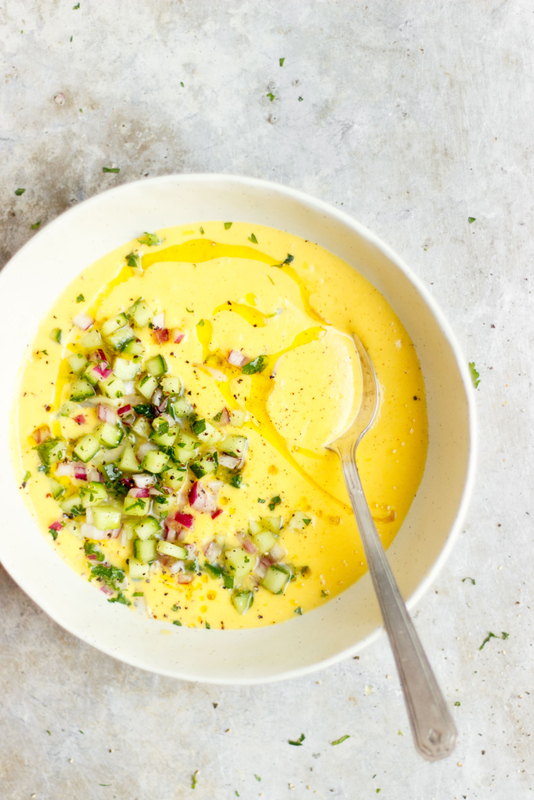 This gorgeous chilled soup is perfect for those sweltering summer days. Unlike the traditional tomato-based gazpacho, this soup is made with sweet corn, sun gold tomatoes and yellow peppers and topped with a fresh cucumber relish for added crunch. 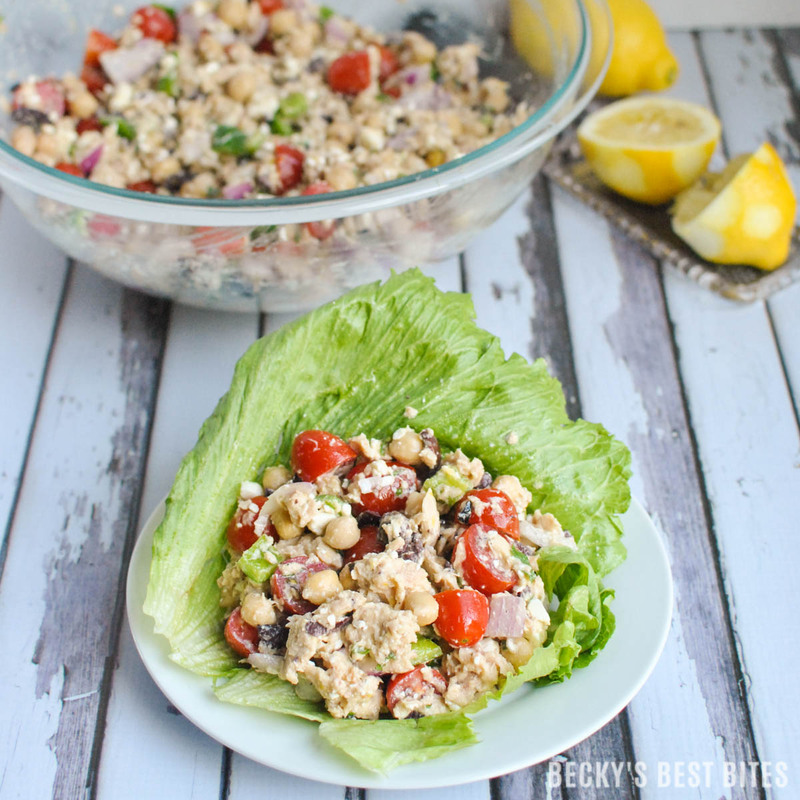 Greek flavors pep up basic tuna salad in this delicious no-cook dinner recipe. Scoop it up with pita chips if you're not feeling the lettuce wrap. This Mexican taco salad makes for a satisfying dinner with minimal effort. 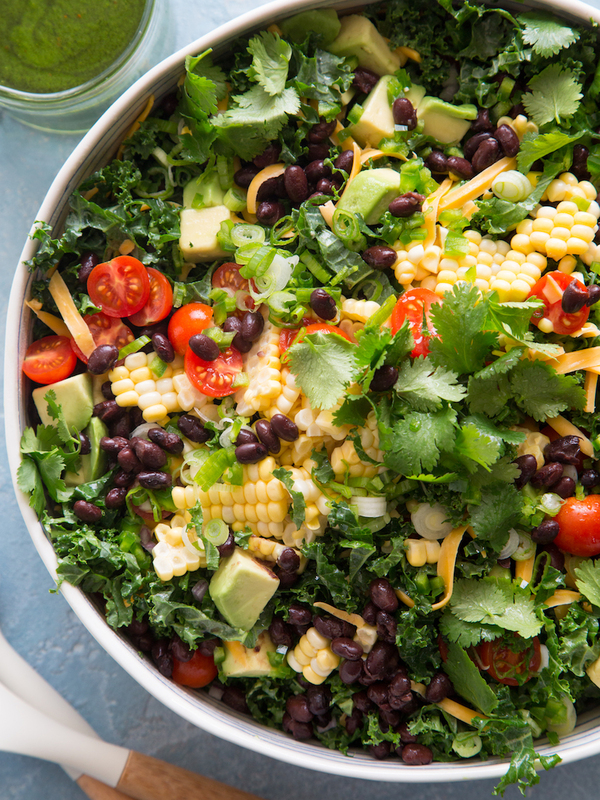 Fresh corn adds a summery crunch, black beans and cheese add protein, and the cilantro vinaigrette is downright addictive. 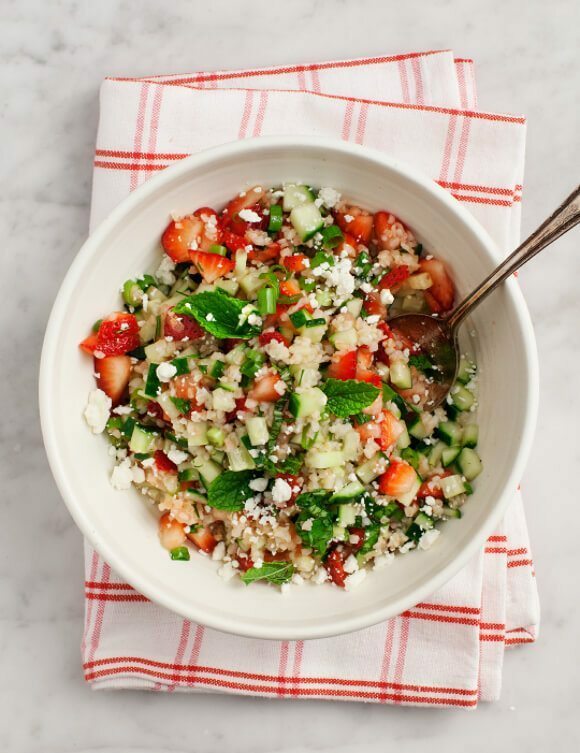 Put those summer strawberries to good use in this tasty tabbouleh salad. You could add shredded store-bought chicken for added protein. 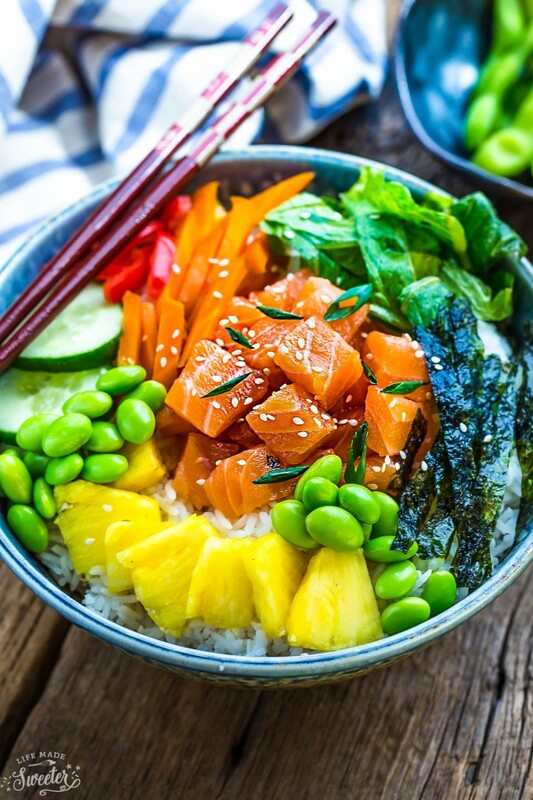 Ride the poke wave tonight and make this colorful salmon poke bowl. Check out your local Asian market for a larger assortment of sushi-grade fish. 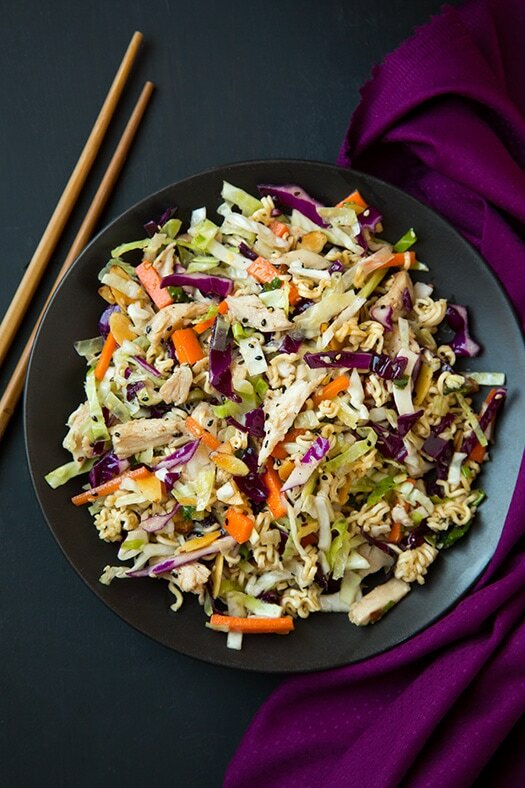 Pick up a rotisserie chicken at the grocery store and make this Asian chicken chopped salad for dinner tonight. It’s crunchy, satisfying and perfect for those lazy days of summer. 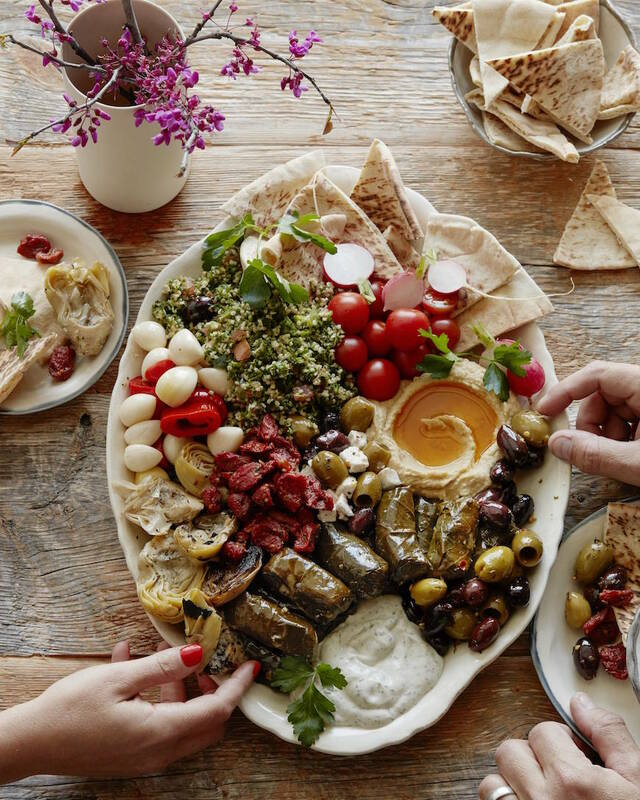 What’s better than meze for dinner? 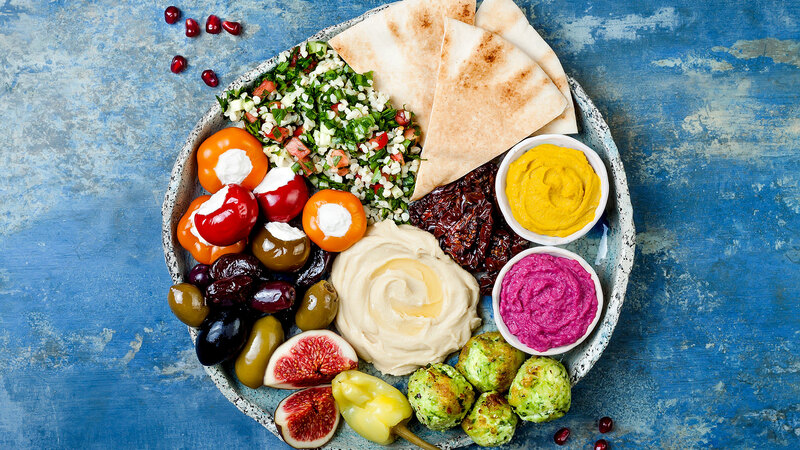 This vegetarian meze platter features marinated artichokes, feta, grape leaves, hummus, tzatziki — all you need is your favorite pita to scoop up the goodness. 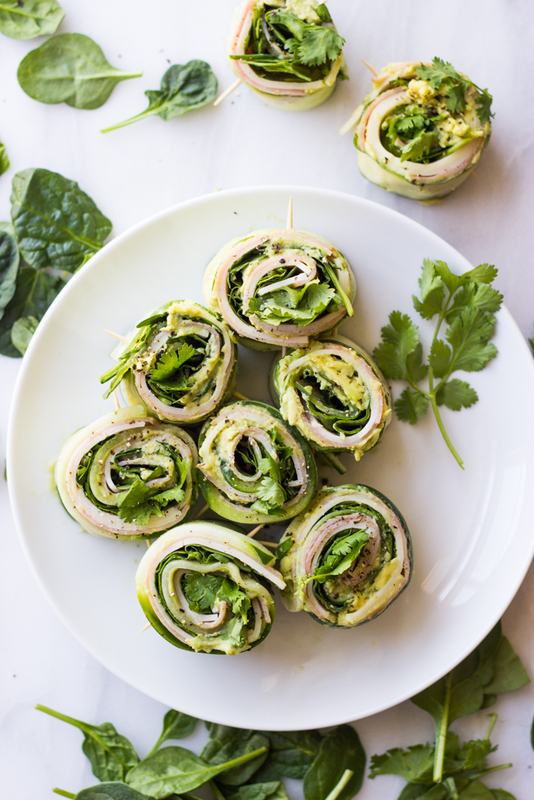 These low-carb cucumber rollups are filled with creamy avocado hummus, honey ham, provolone cheese, cilantro and baby spinach. Choose your favorite deli meat and start rolling. A green detox salad is the perfect dinner to reset your diet after an indulgent vacation during which you went a little too hard on the margs. 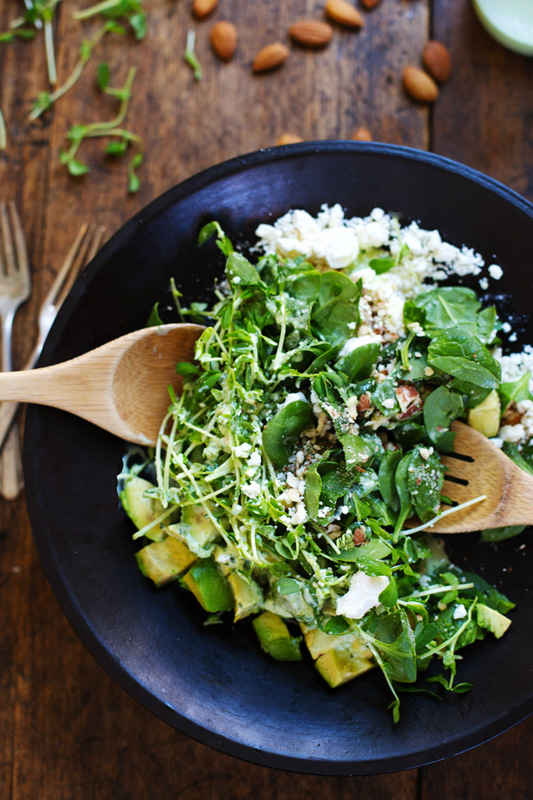 This good-for-you (but also delicious) salad is loaded with spinach, feta, almonds, avocado and a spicy green goddess dressing. 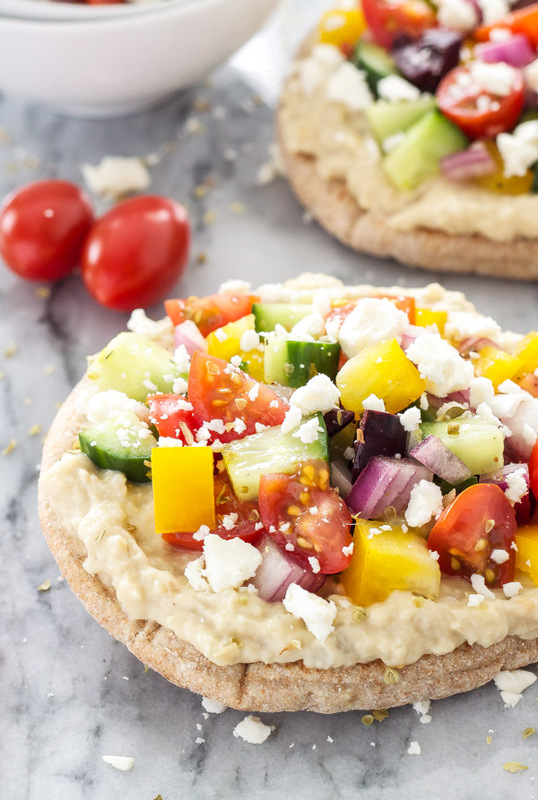 Top your Greek pita pizza with your favorite hummus and summer veggies for a satisfying and easy dinner your family will love.